Xolo the popular premium smartphone brand launched , A500S . Xolo A500s is powered by Dual core processor & Mali 400MP GPU . The device seems to better than its competitors Celkon Campus A20 , Celkon A107+ . Sony Xperia M can also be its competitor . 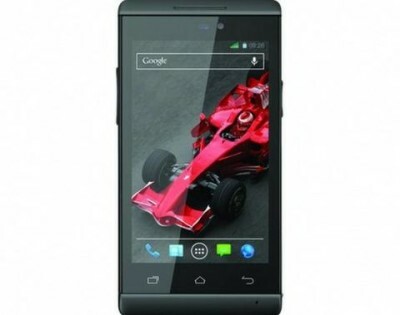 Xolo A500s has 4 inch capacitive touch screen display having WVGA resolution 800 x480 pixels . As far the device runs on Android 4.2 jelly bean out of the Box . The design of the device is pretty nice and stylish . It draws the power from 1.2GHZ Dual core MT 6572W processor integrated with 512MB of ram . The Xolo A500s is capable of playing and recording 720p videos flawlessly . The smartphone comes with 4GB of internal memory and expandable meory of 32GB via SD card . the handsets houses 1400mAh battery to power the device . At the rear there is 5MP rear AF camera with VGA at the front . It has access to Dual Sim card slots ( 3G + 2G ) with Dual standby . It is good thing that it does support 3G . 4″ capacitive touch screen , WVGA resolution . 1.2GHZ Dual core CPU , Mali 400MP GPU . 512MB of RAM , 4GB ROM (internal Memory ) . 3G , WiFi , Bluetooth V3.0 , a GPS , micro USB ,3.5mm Audio JACK , FM radio . 1400mAH battery 10hours of talk-time on 2G network & 8 hours on 3G . 5MP rear AF camera with LED flash & VGA front facing camera . Xolo A500s is priced at RS 6999 and will have white , blue , red & black color options .